The research on team effectiveness is clear. There are five inside-the-team conditions, skills and processes that must be present for a team to be “high performing”. But there are also two other outside-the-team factors which have equal weight in determining team effectiveness. Korn Ferry's T7 Team Effectiveness model allows a team to be assessed against these and other key factors derived from the last 15 years of high-performing team research. 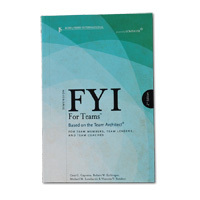 Team Architect® Sort Cards is a diagnostic tool used to determine the gap between critical team success factors and current team skills. Using the very popular toolkit, businesses are able to define, assess and develop higher performing teams. Contact us today to understand how Team Architect® can lift your team performance. Interested in becoming certified in Korn Ferry Team Architect ?